Weird Worlds: Return to Infinite Space is a hybrid roguelike game of space exploration, adventure and starship combat set within an unusual region of the galaxy known as the Purple Void. 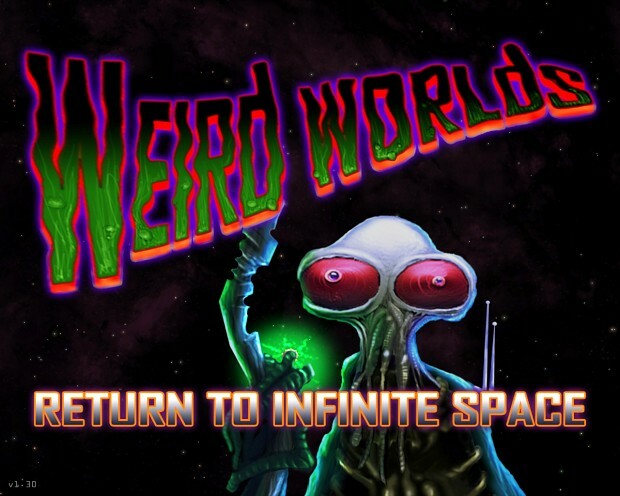 Each time Weird Worlds is played, a new and different instant space opera is generated (nebulae, black holes, stars, planets, lifeforms, races, artifacts, items, starships, events, quests...), but unlike other games of the roguelike kind that go on for dozens of hours, it plays to its conclusion in less than thirty minutes. Features also include a fully animated star map, a unique turn-based movement system, real-time starship battles (naval/Wrath of Khan style), spaced-out music and sound, mod friendliness and access to all ships in the game via a robust battle simulator.